CBRE Australia is facilitating the sale of an iconic development site on the banks of the iconic Maribyrnong River in Footscray, a major area for residential growth in Victoria. According to CBRE, the property benefits from a favourable planning permit in a proven high-density residential precinct and is an opportunity for buyers to tap into the strong residential demand in the area. Scott Orchard, one of the selling agents from CBRE, said the market appetite for residential apartment sites in the area strengthened towards the end of 2014 and the momentum continues to build. He believes the riverside development opportunity is likely to attract interest from investors looking to take advantage of the strong inner suburban residential market. “This is an outstanding opportunity to secure a permitted property where the hard work has been done, making way for an immediate development,” Mr Orchard said. 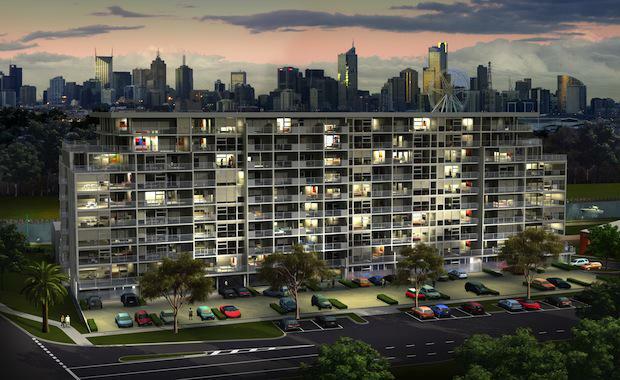 CBRE’s Paul Tzamalis, who helped to negotiate another development sale in Footscray said the area “has undergone a major gentrification over the past five years, transforming into one of Melbourne’s most affordable and in demand suburbs, popular among young families and investors. Michael Lang, another selling agent for Moreland Street property from Castran Gilbert who will be working in conjunction with CBRE, said that the site has a number of development and cost saving advantages. Lang expects that the property’s scale and proximity to the CBD would be selling draw cards. The property benefits from a central position in immediate proximity to the Footscray retail and activity precinct, bicycle and river walking trails and public transport networks. The property’s permit also has an associated riverside restaurant and moorings component.